No matter what your interior design choices are, there are hardwood flooring choices to go with them. 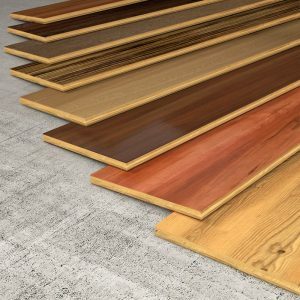 Unlike many other flooring choices, Hardwood comes in many different levels of hardness, and the combinations of species and finishes make your color choices virtually endless! No matter what your interior design choices are, there are hardwood flooring choices to go with them. You can also find hardwood flooring at a variety of price points to fit almost any budget. There are so many different species available, here are just a couple of the most popular ones! Oak flooring is one of the most popular hardwood flooring options in North America. Oak tends to be quite resilient; it resists deep scratches and dents well. It is a good choice if you don’t want to use area rugs or throw rugs, as it tends to stay relatively smooth. As far as cost goes, mahogany tends to be a bit more but if you’re considering it, it is well worth the cost. The rich coloring of mahogany makes it a beautiful, classic choice. It is water-resistant and extremely durable flooring choice. Ash is a very hard hardwood. If you see a light-colored hardwood, it is often Ash. Many homeowners see it as one of the toughest flooring choices. Aesthetically, it is similar to Hickory, but Ash tends to have white spots in the darker parts of the wood. Hickory is a good choice for families or homeowners who are expecting their floors to get a lot of traffic. It is on the harder end of the scale, and it goes with a variety of designs. Its character markings make hickory a great choice for a adding a more “rustic” feel to your room design. Pine is a relatively soft wood, which makes it easy on the feet if you want the look of hardwood with out the hardness. Pine flooring planks tend to have a lot of character marks, which give it an interesting aesthetic. As for cost, it falls somewhere in the middle. It’s not a particularly expensive choice, but it’s also not super cheap. Believe it or not, even though it tends to be harder than many types of hardwood, bamboo is actually a type of grass. Bamboo is widely available and one of the most environmentally and economically friendly flooring choices available. This entry was posted on Friday, February 9th, 2018 at 3:36 pm. Both comments and pings are currently closed.